Our readers greatly enjoy this format of our blog articles. This is why it’s time for another Q&A session. 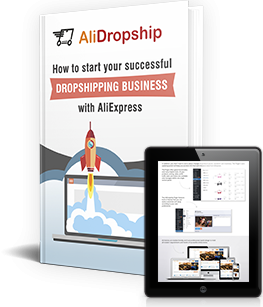 This one is for absolute beginners who have no experience in drop shipping at all. We’re really happy that our solutions are motivating and encouraging even for people who have no idea how it all works. This is why we will do our best to help you out! Drop shipping is an online business model. 2. How does the buying and selling process work? So, you have a ready webstore with product images and descriptions. A store visitor likes some of your offers, and places an order. You accept the payment and ask for the client’s name and address. As soon as you receive the money from the buyer, you transmit the same order to the original AliExpress seller. AliDropship plugin does this automatically, so you won’t get confused with all the orders, sellers, items, countries, addresses, etc. The seller gets money and customer details from you, makes the package, dispatches it to your buyer, and gives you the tracking code. You, in turn, send this tracking code to the client, and keep an eye on this order to see how everything’s going. 3. 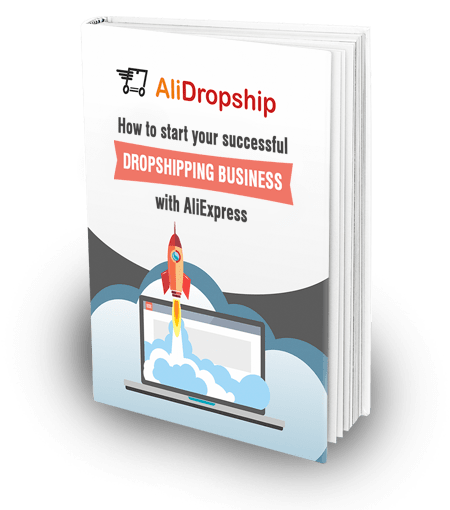 Can I do drop shipping without AliDropship plugin? The reason why people all over the globe use this plugin for WordPress-based online stores is that the plugin does the biggest part of the job automatically. Still, the plugin is quite young, even though this business model exists for a long time already. So, several years ago people were just doing drop shipping without any technical help. We were doing the same – as you know, we have a huge experience of running our own drop shipping stores. And this is exactly the reason why we created the plugin! You see, as your business grows bigger, you find it more and more difficult to manage all the processes. To save your time and nerves, and to deal with the most common drop shipping challenges, it is better to go for automatic solutions. Speaking in VERY simple terms, it’s a piece of web publishing software. It’s the most popular solution globally used for building websites and blogs – around 28% of ALL the existing websites are created and managed with the help of WordPress. You download it from the official provider, install it on your site – and here it is! Now you can easily and conveniently manage your website. WordPress is free, user-friendly, and super flexible. There exist thousands of plugins, extensions, and themes compatible with it. You can download (or buy) any of them to boost the functionality of your website and make it totally unique. Again, let’s talk in VERY simple terms. Hosting is a service provided by experienced companies (you can try doing it yourself, but it will be really challenging to manage). What do these providers do? Basically, by giving you hosting, they help you upload all your website information to the Internet. As soon as you get hosting, everything that you’ve added to your website (texts, pictures, videos, etc.) becomes accessible to Internet users. Therefore, people can find your website, browse it, and view it. 6. How can I make profit using AliDropship plugin? The plugin does the biggest part of your technical job. This way, it gives you enough free time to experiment with marketing strategies and boost your store sales. The more time and effort you devote to marketing, the more impressive is the result! 7. Does AliDropship plugin have a trial period? There’s no demo or trial period, but we provide 30 days money back guarantee on the plugin. 8. Can I use your standard free theme without AliDropship plugin? No, the themes will only work if you have installed the plugin. 9. Do I need to register my business? AliExpress suppliers won’t ask you for any official registration – they will work with you even if you’re just an ordinary person. Still, every country has its own legal rules. Check the relevant laws carefully! 10. Do I need to sign up drop shipping agreement to start business with you? No, you don’t need to sign any papers. So, as you can see, there is nothing scary about drop shipping. You can easily handle it even if you have no previous experience at all, and if you use the right automated solutions, you will enjoy some truly awesome results. We will be happy to see you joining our drop shipping community! I have a web-shop and have bought the Alidropship plugin. Do I have to establish a web payment with my local bank? This for my clients kan pay with MasterCard og Visa. ? what is the assurance that the order will be delivered or fulfilled by the supplier? what if the buyer complains about the quality of the product purchased? Is there a money back guarantee? Hi, if you client faces such issues you need to solve them with your AliExpress supplier. AliExpress has a good protection system with full money back guarantee. So, if your customer is not satisfied with a product and asking for refund you should dispute the purchase with AliExpress seller. 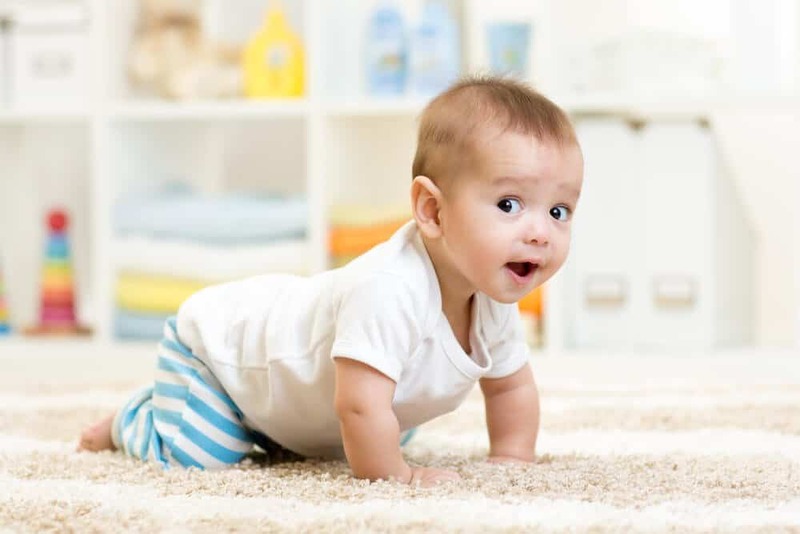 If you are selling not expensive products your AliExpress suppliers usually refund you quickly without having to return the items because they don’t want the headache of disputes and receiving returns for relatively low value items. This enables you to give a full or partial refund to your customer through PayPal without them having returns either. The reputation of the wholesaler is rather exposed and they are willing to do anything to maintain their feedback rating. Can we edit product description to be my lang,Thai? Yes of course, you can edit any product details including description. Where is Alidropship market place? Does AliDropship have the ability to do Free Plus Shipping? A lot of these websites and plugin companies always say it’s easy but it’s not! If you’re new to this, this is very challenging and very frustrating. I purchased this plugin hoping it would be easy to find out I couldn’t put it on my WordPress dashboard and I purchased a professional theme and purchased WordPress live pro to help me build my website through WordPress and they couldn’t help me because they couldn’t figure out my website theme. Unless you know coding and you’re some what a website developer than going this way will leave you frustrating and want to give up. When I purchased Alidropship plugin I had so many questions as to why this plugin wasn’t working on my wordpress dashboard like it says it would and I never got a reply back and It was hard contacting them. I hope everyone doesn’t have an experience like I had. I wish everyone good luck! Hello Ena, I am sorry to hear about your frustrating experience. Purchasing a so called ‘professional’ theme does not guarantee that it will work smoothly with importing modules. Asking Alidropship team about problems with other themes is itself an incorrect approach. A non coder or a non aware person just sees a good looking theme and tries to use it. Many themes have its own functionality, are poorly coded and have compatibility issues with plugins. So in most cases, issues are related to a theme, but not the AliDropship plugin. Find this very very strange considering their contact email, phone number, LiveChat is on the plugin sales page and your order page – not forgetting your delivery page. Look again and double check. Was it definitely that support email address that you sent your query? If your first, second and third email went unanswered + telephone calls, I’d still find that strange. Cant speak for everyone however my aftercare from Yaroslav and his team are 10/10. Boy was I proved wrong! Say this because, I (like yourself) thought WooCommerce themes are the only way as alternative to Shopify. Quickly realised not as easy (like yourself discovered if not a coder or dont know WP very well) and yet didnt give up. Instead, sought assistance from the AliDropship plugin support team and now have a dropship site with one of the 3 accompanying FREE themes that came with my purchase. Dont give up – give in instead to trying again! Perhaps time to sprinkle some on yourself and start again? Is there anyone whom we can contact with in case we can’t sync the items to the ecommerce platform? Is the alidropship plugin compatible with other themes? I already have a domain name, hosting and https as well as a theme and woocommerce. Can I simply install your plugin? Yes, you can just install the plugin. I had the notion until last week that I could buy a customers product at AliExpress with the money they paid for it on the website, that way I don’t have to pay out of my own pocket. But, I overheard AliExpress, Paypal & Stripe hold on to the customer’s money. If this is true then for how long? Also, if they hold onto it, then why? Do you have an article on this please? hello do i need to buy the items in aliexpress first before shipping? what if i don’t have enough money to buy the items being ordered? You can try 2Checkout payment gateway, it works in Nigeria. what are the payment gateway which works in Pakistan. like paypal does not allow accounts from Pakistan. You can apply for 2checkout gateway, open a PayPal in neighbour country or establish LLC in US. Why would someone buy from me at a higher price when they can go on to Ali Express and buy it at a cheaper price there ?